Suggested Emphasis: God is holy and we should respect him. God wanted everyone to know he was holy. Moses told the priests and the people how to worship God through sacrifices and offerings. God then revealed his presence by appearing as fire in the tabernacle, in the Holy of Holies. Instead of worshipping the holiness of God, Nadab and Abihu made their own fire. The fire of the Lord consumed them and their fire. Large portions of Exodus, Leviticus, Numbers and Deuteronomy contain very specific instructions from God. God is Holy and perfect and he used physical perfection to symbolise that Holiness. The tabernacle was to be perfect (Exodus 25:8-9). The animals used in sacrifice were to be without defect (Leviticus 1:3 and following). Priests were to be perfect (Leviticus 21:16-23). Even the priests’ clothing was to be made according to exact specifications (Exodus 28). All of these things pointed to the fact that God was holy. Leviticus 11:44-45 summed it up when God said he was holy and his people should be holy. Although God wanted the Israelites to learn this lesson of holiness, he knew that the people would not be perfect. This is the reason he allowed sacrifices and offerings to be made. Some may read the story of Nadab and Abihu and think that they were being punished because they did not obey God’s laws perfectly. The last verses of the chapter (Leviticus 10:16-20) show that Aaron’s other sons did not do things perfectly either. They, however, were not consumed by fire. Obviously, by presenting a different kind of fire to the Lord, Nadab and Abihu were disobeying God in an extreme way. They were showing disrespect towards God. The stage was set for God to show his holiness to the people. 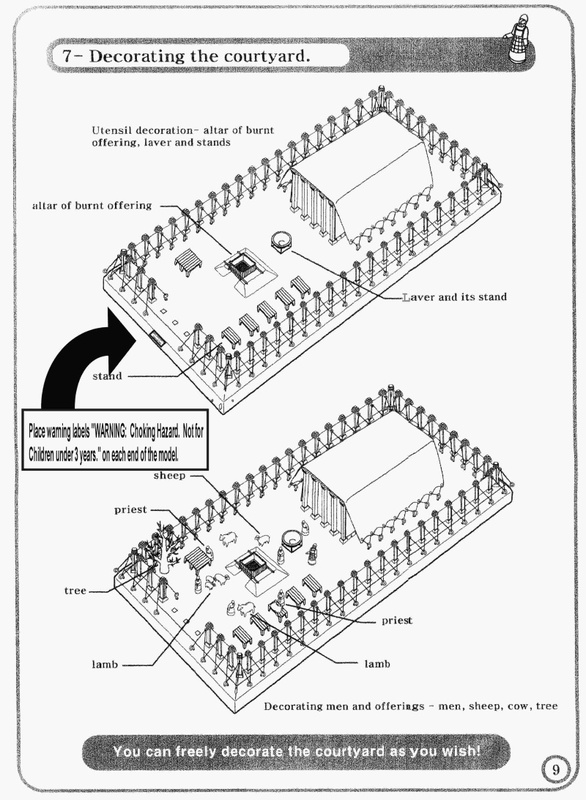 The tabernacle was consecrated and the priests ordained in Leviticus 9. All of the proper offerings and sacrifices were made (9:22). Finally, the Lord showed his holy presence to the people by appearing as fire. This holy fire then consumed all of the sacrifices (9:23-24). The people were in awe (of course!) as the very presence and holiness of God was on display. All of the people shouted for joy and fell face down before the spectacle. All of the people, that is, except for the priests Nadab and Abihu. For some reason (jealousy?) these two sons of Aaron decided to take some of the attention away from the holiness of God. They took the censers used by priests and they made their own fire (a fire not authorised by God) and held it before the presence of the Lord. They were priests and they knew better. Yet they blatantly tried to steal the show. The show could not be stolen. The show belonged to God alone. His holiness was on display in fire and the two men and the unauthorised fire in their censors were consumed just as the other sacrifices had been. The censers used by the priests were made of metal and contained hot coals used for burning incense (Leviticus 16:12-13; 2 Chronicles 26:16-21; Revelation 8:3-4). Numbers 3:2-4; 26:60-61; 1 Chronicles 6:3; 24:1-2. Discuss different types of fire. You might mention matches, candles, torches, lamps, gas heaters, campfires, etc. Children might think of the good and bad things about fire. You might even discuss some fire safety issues. (You will need a large candle and a few matches to tell the story today) In the last few weeks we have been learning about the Israelites wandering in the desert on their way to the Promised Land. The Israelites were very special people. They were special because they were the only ones in the whole world who believed in God and obeyed him. Some people, like the Egyptians, thought that there were many Gods but God knew that he was the only God. I am going to light this candle and we are going to turn off the lights (do this). This candle is like God. It is the most important thing in this room because it lights us everything else so we can see. This candle is special and so is God. God is powerful and special. Do you remember some of the things that are special about God? He could send the 10 Plagues. He could make the Red Sea divide so that the people could walk across. He caused manna and quail to fall from the sky. He could make a mountain smoke and shake. He could write the 10 Commandments on tablets of stone. God is powerful and special. God is perfect. He never makes mistakes. God is kind. He loves his people. He took care of them and protected them when they were hungry and thirsty in the desert. All of these things about God can be said in one word. Do you know what that word is? HOLY God is Holy. He is so special that nothing can even come close to being special like him. God wants his people to know that he is holy. He wants us to only worship him. Do you remember the first commandment? (Let child read Exodus 20:3 “You shall have no other Gods before me”). God chose Aaron’s family to be priests. Their job was to offer sacrifices and to take care of the tabernacle of God. They were to teach the people that God is holy. The priests were the only ones who could go into the tabernacle. One part of the tabernacle was called the Holy of Holies and only the High Priest could go inside that part. And he could only do it one time all year. That’s because it was God’s special holy place. That’s how holy it was. When Moses had finished telling the people all of the rules for God’ holy place and for sacrifices, he did something very special. God showed the people that he was in the Holy of Holies. God made fire and smoke appear there. God was there and the fire was there but the tabernacle did not burn up. The only things that burned up were the sacrifices offered by the priests. Everyone was so amazed at the fire of God that they fell down on the ground and worshipped him. Everyone, that is, except for Nadab and Abihu. They did not think about the holiness of God. They were not thinking about God’s holy fire. Instead, they used some censers that priests used for incense and they made their own fire. Nadab and Abihu thought their fire was as good as God’s. (Light a match and let it burn up). Can anyone be as good as God? (Light another match and let it burn up). No! But Nadab and Abihu wanted to do it their own way. They put their own fire in front of God’s fire and something really terrible happened. God’s fire was so big that it burned up Nadab and Abihu’s fires and then it burned up Nadab and Abihu. NO ONE is as holy as God! What happened to Nadab and Abihu when they tried to put their own fire in front of God’s fire? They were burned up. Look up songs in the church songbook about God’s holiness. Sing them in class today or invite a few people to come and sing to the class. A favourite song is “Holy, Holy, Holy”. Light a candle and talk about the Holiness of God. Then light a match to represent our holiness. Note how quickly the match burns out. Discuss that no matter how holy we are God is more holy. Lead the children to discuss situations in which we might ignore God’s holiness and try to do things our own way. Example: God wants to be worshiped on Sunday but we go fishing instead. Visual Aid: Make these quick and easy Stand-up Figures to tell the story. Have children write “God is Holy” in large letters on the centre of a blank sheet of paper. Children can tear red, yellow and orange paper into small strips and glue them all around the words for a border that looks like fire. Another idea would be to put drops of tempera paint around the words and then use straws to blow the paint to look like flames. Click here for printable poster. Collect various small jars that are wide enough to hold a small tea-light candle. There should be enough room around the outside of the tea-light so that it does not touch the inside of the jar (This will keep the sides of the jar from getting too hot or smokey when the candle is lit). Have children decorate the jars using beads, waterproof markers, glitter, buttons, or whatever is on hand. Add a label that says “God is Holy”. Place a small amount of glue on the bottom of the candle and then set it inside the jar. Be sure all parents know that you have made candles so that they will supervise it at home.